Image used with Geoff's kind permission. 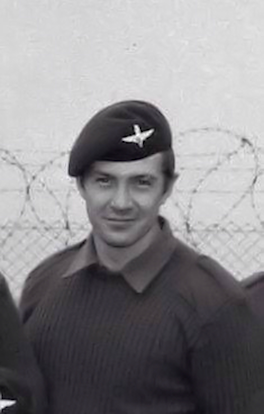 YOU CAN donate online through a dedicated Just Giving Lewis Collins page. No admin charges are made, ensuring every penny donated goes to the cause. Click here to go to the page. YOU CAN make a card payment over the phone by calling 01725 514130. Please remember to specify that you would like your donation made in memory of Lewis, otherwise it will not be included in the total raised in his name. Please enclose a covering letter with your address, and state that the donations are made in memory of Lewis Collins. Help for Heroes will send you a receipt for the donation confirming this. There are other ways you can donate to Help for Heroes, but only the three methods above will ensure your donaton is added to the total raised in Lew's name.